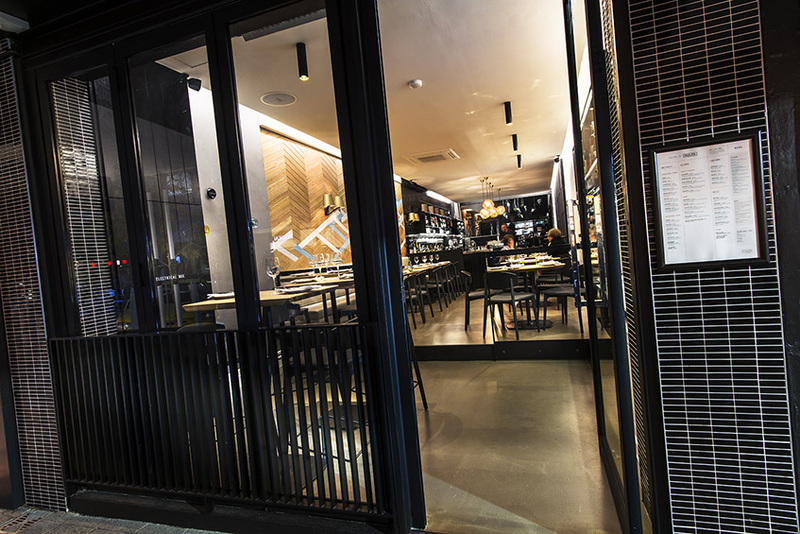 Nolita follows on from its sister restaurant La Lola bringing good quality Italian produce to the tables of Perth’s diners. 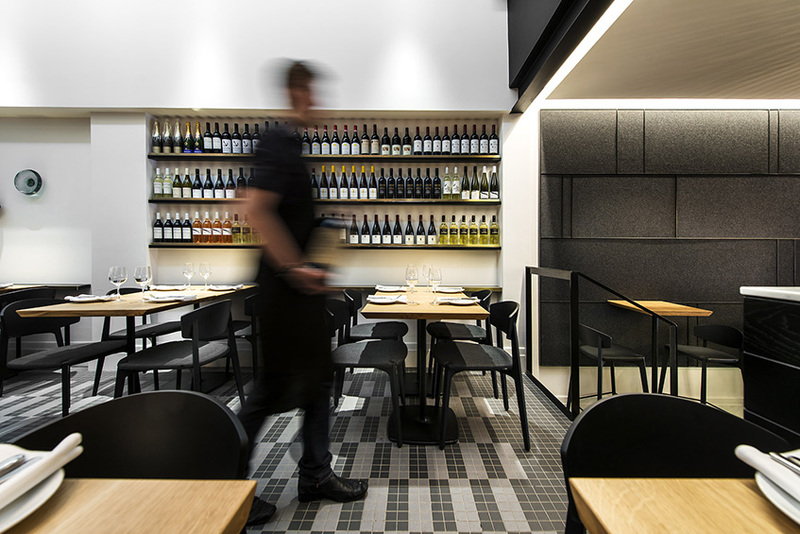 Designed as a day and night space, the colour and material palette shift from light to dark through the space and consists of 4 primary areas being front dining area, bar, back dining area and kitchen. 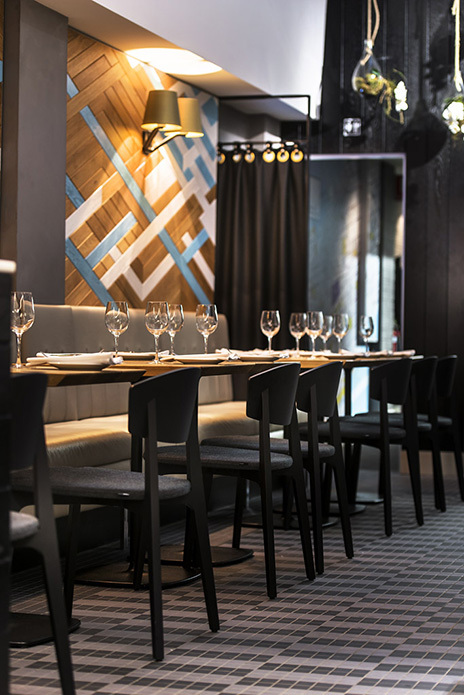 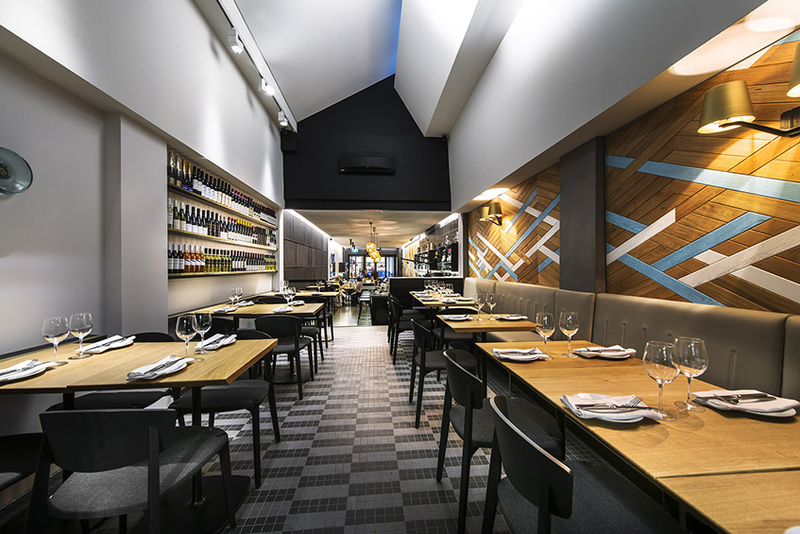 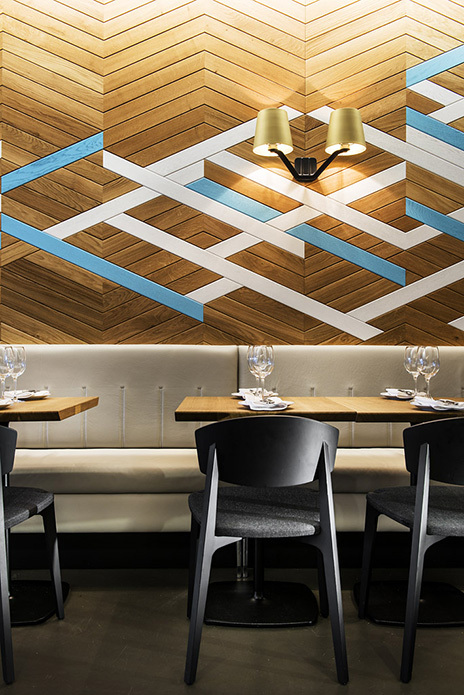 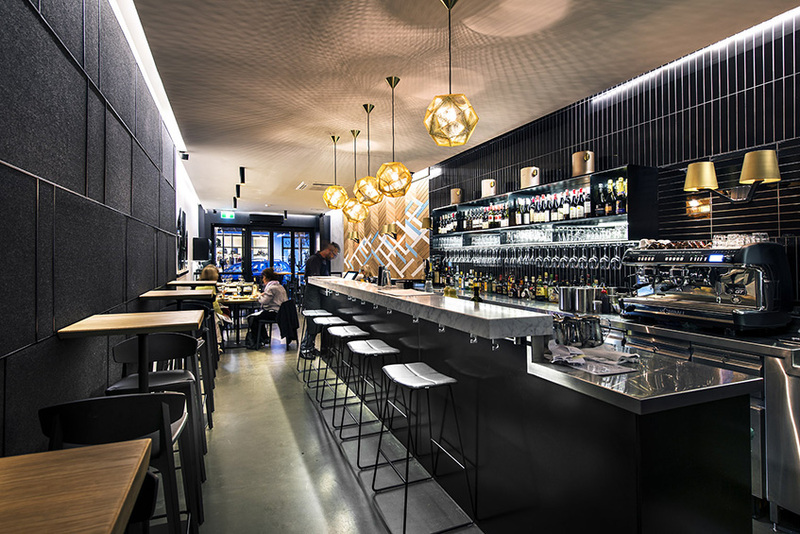 The striking chevron pattern solid oak wall paneling, black stained timber wall with suspended terrariums and Tom Dixon etched light pendants are some of the features in the fitout that define the Trattoria.